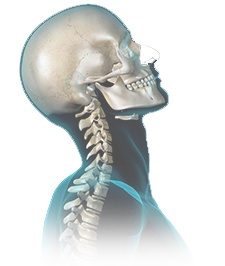 A thorough chiropractic evaluation is essential to the health of your spine and body especially after an injury. If you have been injured in an auto accident, don’t wait to seek a medical evaluation, even if you feel you may have no injuries. Often injuries do not show up until days after an accident. Dr. Engel makes it simple for you to access the care you need, especially when you may be in pain and discomfort after an auto accident. Dr. Engel and staff have years of experience in the handling of auto accident claims. Keep in mind that insurance claims adjusters have virtually no training or education in the diagnosis and treatment of human ailments. Their opinions on the subject of auto accident injuries are informed by an agenda not by medical knowledge or clinical experience. Signs and symptoms you may have suffered a whiplash after a motor vehicle accident are: pain, stiffness anywhere in your body, numbness, weakness, tingling, lower back pain, blurred vision, dizziness, headaches, fatigue, shoulder pain, difficulty concentrating, ringing in the ears, irritability, insomnia, changes in appetite, and/or anxiety while driving or any other new symptoms following a motor vehicle accident. Our treatments may include chiropractic adjustments, laser therapy, massage therapy, peripheral neuropathy treatments and more, depending on your injuries and the severity. It is in your best interest to be evaluated and, if appropriate, receive the very best treatment as soon as possible. Waiting can complicate your recovery and your insurance claim. Contact Engel Health & Wellness to schedule a visit as soon as possible. Call 619-822-1825 today!